"It's primarily being driven by gang-related activity," an expert says. 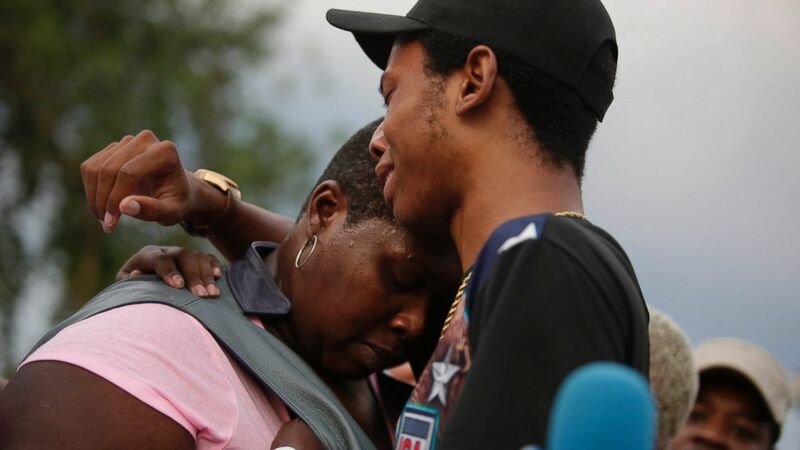 camera (Joshua Lott/Getty Images) Activist Lamon Reccord, center, consoles Sheila Jones, center, mother of Africa Bass during a vigil for Bass, who was killed as she walked through her apartment complex July 27, 2016, in Chicago. 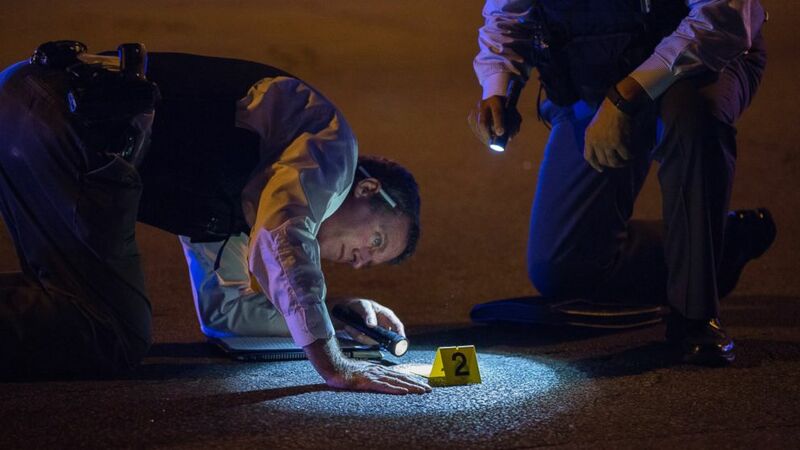 (Erin Hooley/Chicago Tribune/TNS via Getty Images) Members of the Chicago Police Department look at an evidence marker at the scene of a shooting in the 3100 block of West 83rd Place, Aug. 8, 2016, in the Ashburn neighborhood of Chicago. 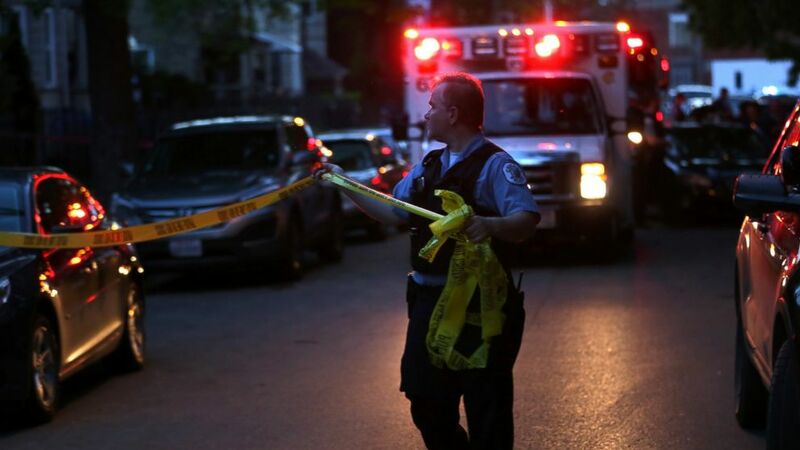 (E. Jason Wambsgans/Chicago Tribune/TNS via Getty Images) The police expand the crime scene in the 3900 block of West Lexington Street where a 20-year-old female suffered a gunshot wound to the head, May 28, 2016, in Chicago. 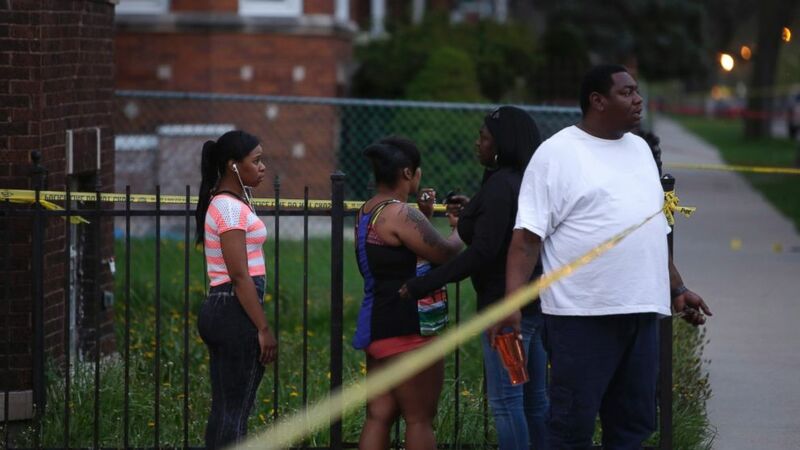 (Joshua Lott/Getty Images) People watch as Chicago Police officers and evidence technicians investigate the scene where a 16-year-old boy was shot in the head and killed and another 18-year-old man was shot and wounded on the 7300 block of South Sangamon Street on April 25, 2016, in Chicago.